Star Micronics recently announced support of the SM-S220i Bluetooth by the Appetize app. Appetize is an iPhone and Android based mobile app that allows fans at entertainment venues to purchase food, drinks, and merchandise from the comfort of their seats. Launched in 2012, Appetize has been in service in California and New York for major events including The Black Keys, Carrie Underwood, LMFAO, Red Hot Chili Peppers, Kelly Clarkson and the Los Angeles Lakers. Fans can easily enter their order and pay from their mobile device, and the order will be delivered to their seats. The Appetize app will pair with the SM-S220i to print receipts, which contain pertinent product delivery information such as seat number, order, total sale, price and contact information. 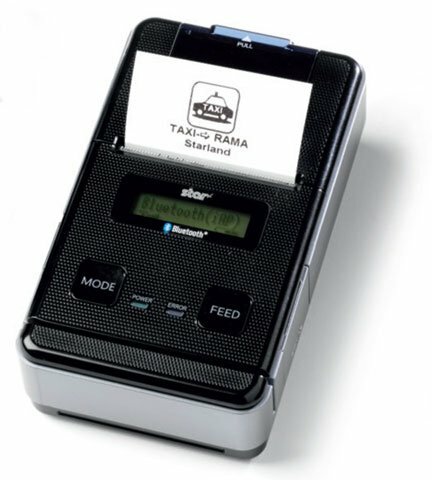 The Bluetooth connection of the SM-S220i allows the Appetize system to print receipts at the venue’s refreshment or souvenir stands without putting greater burden on the already stressed mobile and WiFi networks in the venue. Equipped with a sleek, compact and lightweight design, it is compatible with all operating systems including iOS (iPad, iPhone, iPod) and all Bluetooth devices. Appetize recently implemented the SM-S220i to print customers’ order receipts at the Capitol Theatre in Port Chester, New York. Capitol Theatre is a historic rock music theatre that originally opened in 1926, and played host to the likes of Janis Joplin, Pink Floyd and the Grateful Dead in the early 70’s. After 30 years as a special event and catering hall, Capitol Theatre returned to its roots as a premier concert venue.